Churchill Controls started in 1976, manufacturing capacitive level gauges and wave monitors. Wave monitors are used by universities and research establishments to monitor tanks used to test models of ships, bridges and sea defences. The level gauges are mainly used for measuring water and fuel levels in boats, but also found applications with water utilities for monitoring reservoirs and water towers. From this evolved the need to relay the level readings over telephone lines. 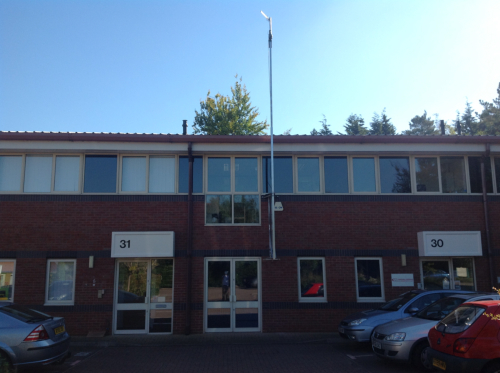 Therefore around 1980 Churchill Controls began its history of designing and manufacturing telemetry systems, which quickly became our core business. When the government released a band of licence-free radio channels we were one of the first companies to design a radio telemetry system to use it. We continue to manufacture wave monitors. The wave monitor design has remained virtually unchanged, and is still used by universities throughout the world. Technology advances have obsoleted the capacitive level gauge for most applications, but there is still a demand for them in boats, and also for monitoring fuel tank for standby generators, we therefore continue to build and support the MK1 level gauge. In 1992 the founder, John Churchill, retired and sold the business to NEMCO Ltd, who provide sub-contract services to manufacture electronic assemblies. Although Churchill Controls operates as an autonomous company the strong links with NEMCO provide a very positive support for manufacturing the products. We have design control over all the electronic equipment we offer. We design the hardware and write the software. We then sub-contract the PCB manufacture of to our parent company, NEMCO, who supply us with finished boards that we test and assemble into finished parts. We then assemble systems to satisfy individual customer requirements. We sell directly and via sales agents and distributors. Our sales agents and distributors are strategically placed to be able to maintain close contacts with our customers and will visit them to demonstrate our products and carry out site surveys. We carefully select them to ensure they have the skills to be able to fully support our products. We have close contacts with various electrical and mechanical installation companies who are experienced to install our products when required. We can arrange site visits to commission systems or to help identify any problems that may be experienced. We firmly believe that our relationship with customers lasts for the lifetime of the products, and doesn’t end when we close the sale. We pride ourselves on providing excellent customer support and are always on hand to give telephone assistance. When a customer has a problem we make every effort to resolve it as quickly as possible. We have been operating an ISO 9001 quality system since 2007. This ensures that all our products are of the highest standard and will give a long, trouble-free life. Our key personnel have a wealth of experience in telemetry, radio, sales and technical support.